Soft tri blend material makes this a go-to shirt for game day! Support your Philadelphia Eagles in this Eagles Girls Black Short Sleeve Player Tee! This Goal Line Player Player T Shirt features a screen print player name and number on back, with team graphic on center chest. 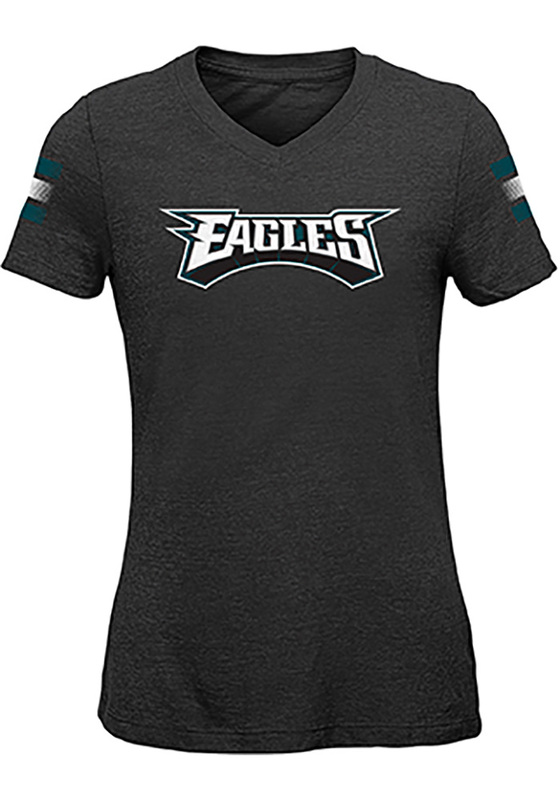 Be ready to shout "Go Eagles" when you wear this Philadelphia Short Sleeve Player T Shirt in the stadium or on the street.